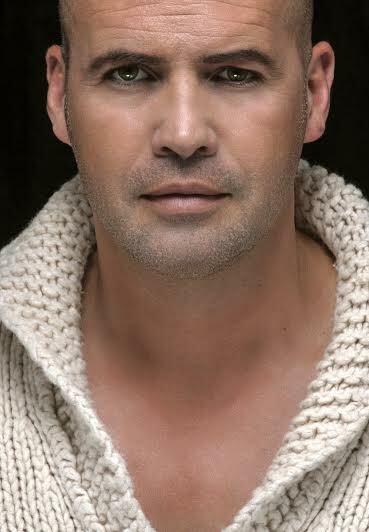 About to make his Lyric Opera debut as Captain Von Trapp in Rogers and Hammerstein’s THE SOUND OF MUSIC, film and stage star BILLY ZANE discusses his role in the iconic musical. We also talk about the critical acclamation he has received for his paintings and sculptures, his memories of growing up in Chicago balancing the life of an actor with raising a family. Lyric Opera of Chicago presents a stunning new production of Rodgers and Hammerstein’s beloved Broadway musical The Sound of Music, tonight, April 25-May 25, 2014, at the Civic Opera House, 20 N. Wacker Drive. The production’s all-star cast is led by Billy Zane, star of James Cameron’s international blockbuster Titanic and critically acclaimed for his portrayal of Billy Flynn in Broadway’s Chicago, as Captain von Trapp and Broadway star Jenn Gambatese (leading roles in Wicked and Disney’s Tarzan) as Maria. Also featured are Broadway and TV veteran Edward Hibbert as impresario Max Detweiler, renowned operatic sopranos Christine Brewer as the Mother Abbess andElizabeth Futral as Elsa Schraeder, and local talents Betsy Farrar (Liesl), Brady Tutton, (Friedrich), Julia Schweizer (Louisa), Michael Harp (Kurt), Isabelle Roberts (Brigitta), KyLee Hennes (Marta), Nicole Scimeca (Gretl), and Zach Sorrow (Rolf). The new production is conducted by Rob Fisher (Lyric debut) and directed byMarc Bruni (Lyric debut), with set designs by Michael Yeargan, costume designs by Alejo Vietti (Lyric debut), lighting design by Duane Schuler, and sound design by Mark Grey. Denis Jones (Lyric debut) is choreographer, and Michael Black is chorus master. In addition to the stellar cast, 37 members of the Lyric Opera Orchestra are performing with a 25-member choral ensemble (including 12 members of theLyric Opera Chorus). This company premiere is the second work in Lyric’s American Musical Theater Initiative, which launched last season with a new production of Rodgers and Hammerstein’s Oklahoma! For more information on Lyric Opera of Chicago’s production of Rodgers and Hammerstein’s The Sound of Music, visit lyricopera.org/soundofmusic.